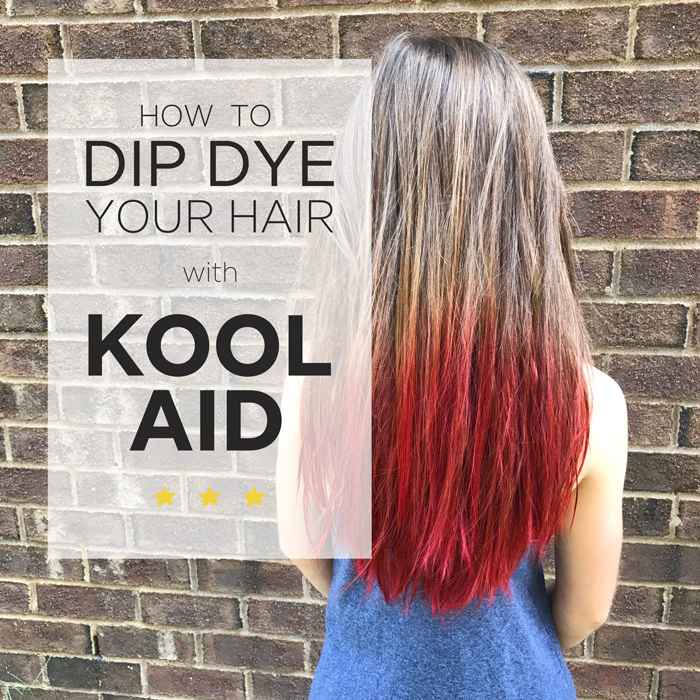 To be honest, I love this dip dyed hair trend. In college, I often was sporting streaks of pink, purple, or blue. I think this dip dye approach looks a whole lot better than what I used to put my hair through! I'm of the opinion, that my kids can do WHATEVER they want to with their hair. And now that we're homeschooling & don't have to worry about school dress code rules, we decided to give the kool-aid trend a try. Make sure your hair is completely dry, brushed, and in a low ponytail. Once boiling, pour into a heat safe mug or cup & submerge the end of your ponytail is soon as possible. THE WATER IS VERY HOT. BE INCREDIBLY CAREFUL!! I just had the girls sit in chairs backed up to the kitchen counter & watch a movie on their iPads. Periodically, I would swish their hair around & break up any clumps to make sure all of the hair was getting saturated. After 30 minutes, use an old towel to squeeze or blot excess water out, then let hair dry COMPLETELY. We used a blow dryer to speed up the process. Wash as normal. The results is beautiful, vibrant & fun color that is theoretically temporary.. . . :) We're going on about a month with it in P's hair & have seen very little fading.